Congratulations Mrs. Worley! We are so proud of you. 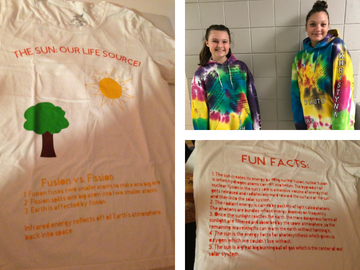 Mr. Bullock's science class made various t-shirts and other apparel for their Astronomy projects. Grace Carroll (left) and Khrystyna Veyst (right) are pictured sporting their tye dye hoodies they made for the project. 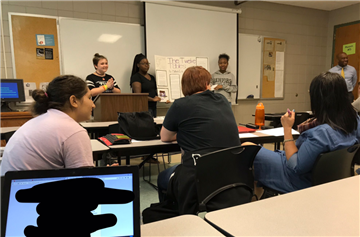 Dr. Towne's Civics & Economics class is identifying Enlightenment ideas. 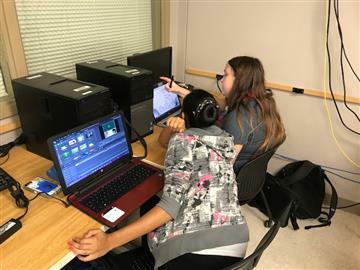 Jennifer Lopez is using a video software to help explain her group's ideas while Savannah Sollars is drawing animation art to express her group's chosen philosophies. The Johnston County Board of Education recognized outstanding staff members and students who demonstrated excellence in the classroom, in athletics, or in the community at their Aug. 14 meeting! 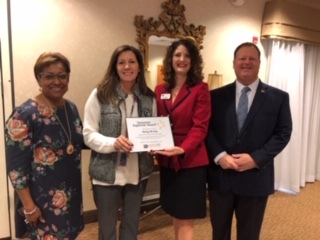 Diana Jimenez Osorio was recognized for Johnston County Career and Technical Leadership Academy. We are so proud of Diana! Congratulations to Yolanda Palma! 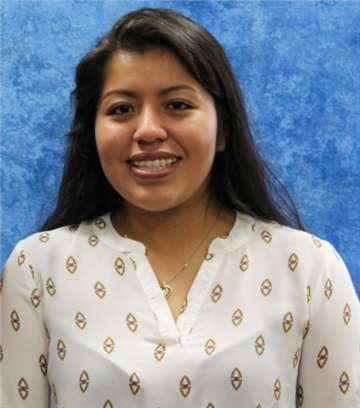 She has been selected to participate in the 2018 Junior Leadership Johnston County Program. The program will be from June 18 - 22, 2018. 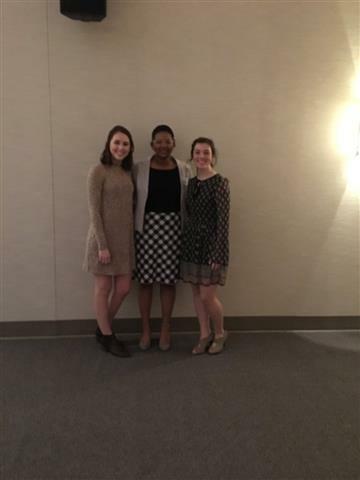 Monica Branagan CTLA’s third place winner; Paige Wilcox is West Johnston’s fourth place winner; and Delanie Vanchoff is SSS HS first place winner. Ladies you were awesome! Mr. Towne's American History 1 students 3rd and 4th block students engaged in a round robin discussion concerning various topics dealing with the concept of Manifest Destiny and expansion westward. Topics included the Transcontinental Railroad, Gold Rush, Women of the West, Outlaws, Lawmen, Pony Express, Buffalo Bill's Wild West Show, Buffalo Soldiers, Exodusters, and the Open Range. 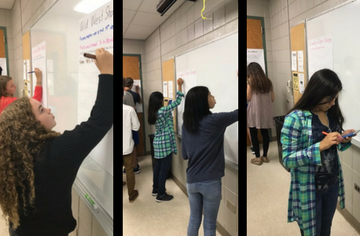 Students discovered information about each area and contributed to a class presentation using large sticky notes and the ever popular sketch smelly markers. JoCo Teen Drivers (JCTD) reached out the to the community to spread the message about safe driving on the Johnston Community Campus during the campus wide Fall Festival event. 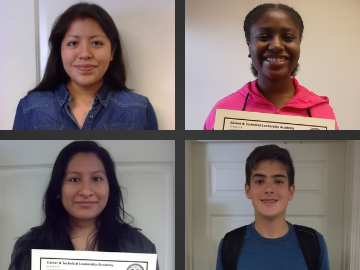 Our goal was to reach high school students, college students, and faculty members to promote safe driving practices and have the community pledge to adhere to safe driving practices. We demonstrated how difficult it is to walk and perform simple actions when a person is under the influence by having pledgers wear the drunk and buzzed goggles to throw a ball into a trashcan that was only a few feet away from them. Out of the hundreds of people to visit our booth on 9/20, only 11 people were able to make the ball go into the trashcan. Mrs. Hales and Mrs. Worley's Math 1A classrooms had to find National Treasure on Friday September 8th. 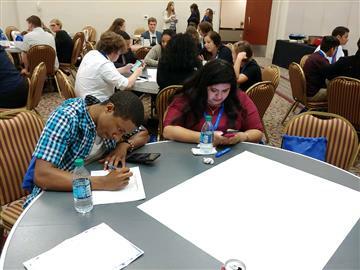 Students completed several mathematical puzzles to give them the combination to the next clue. Mrs. J. Jones students presented on Ancient Rome project. Teachers from other schools came to watch the presentations. 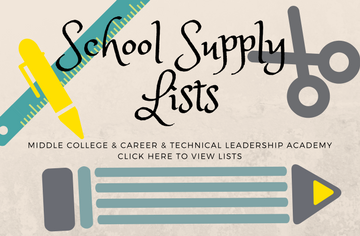 Click here to find information about school supply lists for upcoming classes. 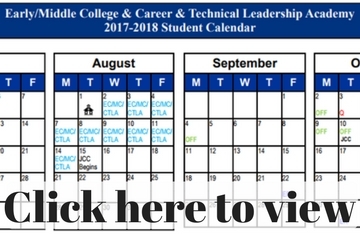 Click here to view the Student Calendar for the 2017-2018 school year.